Our Arm Pro Compression Sleeves are made from a 4-way stretch, moisture wicking material that provides a cooling effect while riding. To increase the cooling effect on really hot days, just wet them down with water. 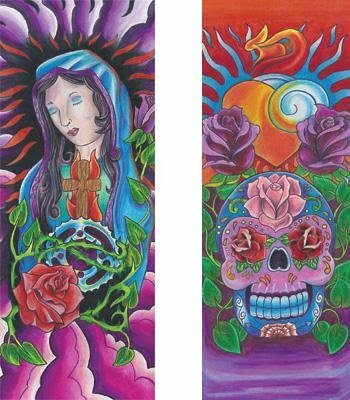 Protect your arms and your ink from the harmful effects of the sun and stay cool with these muscle compression sleeves featuring stunning tattoo designs. If you have any questions about this product by Missing Link, contact us by completing and submitting the form below. If you are looking for a specif part number, please include it with your message.